It's not actually that long since Britain was held up as the bastion of innovation in science, engineering and technology, but few would argue that it is still hogging that particular spotlight. Silicon Valley, the tech titans of Korea and Japan and the looming presence of China don't just overshadow Britain but tower over it. But it isn't all doom and gloom: Britain still has brands like the BBC, BT and Sky that are at the cutting edge of broadcast, and, for all of its recent struggles, British gaming still holds both heritage and excellence in its arsenal, while research and design for many of the world's most familiar names are run from this side of the Atlantic. And let's not forget the companies that are genuine global successes: Dyson, Shazam, ARM and Vodafone, to name just a few, are all shining beacons for the UK even if they don't always shout their heritage from the rooftops. Finally, for audiophiles it is still the likes of Arcam, Cambridge Audio and Bowers & Wilkins that cause the ears to prick up. 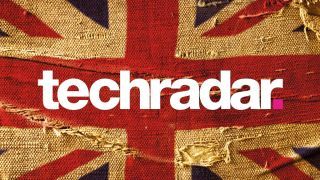 TechRadar's Brit week is showcasing the best of British; the inspirational thought-leaders and the companies making a difference, as well as asking what can increase the UK's profile and profit in the world of technology. Along the way we're talking to those most invested in Britain's success; the likes of Sophie Wilson, Eben Upton, EE's Olaf Swantee, ARM's Warren East and David Braben. We'll focus on a great UK success story in Raspberry Pi, asking if the next Jony Ive can make it without leaving for California, and asking what can stop the rot in British gaming. So, break out the strawberries and cream, put up the Union Jack bunting and start stiffening your upper lip. Oh - and pop the kettle on, we're parched.